Product information "End-On-End Semi Spread Shirt - Sky Blue - Regular Fit"
Our most versatile shirt comes in a beautiful end-on-end fabric with our beloved semi spread collar. The mix of light blue and white in its extremely subtle pattern really makes this fabric come alive. If you are looking for a shirt you can wear with literally everything, you should definitely go for this one. 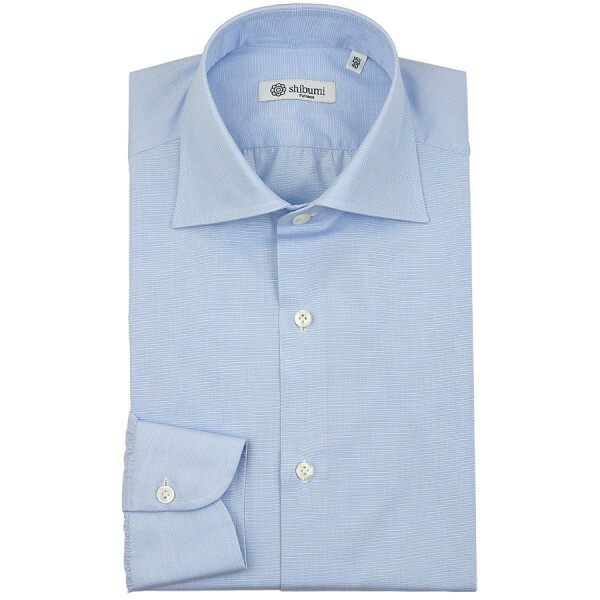 Related links to "End-On-End Semi Spread Shirt - Sky Blue - Regular Fit"